Euro Cuisine Yogurt Maker - Yogurt is a healthy treat that can be enjoyed at any time of the day; and now you can easily make your own, with this yogurt maker from Euro Cuisine. The entire process takes between 6 to 10 hours. Imagine being able to control the sweetness, ingredients, fat content, and thickness of the yogurt as well as being able to use any type of milk from regular, almond, soy, and even lactose free, the flavours combinations are endless and make accommodating dietary needs and requirements a breeze! The Euro Cuisine Yogurt Maker comes complete with seven 6 oz. glass jars, recipes and instructions. Making your own yogurt with this machine is so easy, that the hardest part is waiting for it to be done! 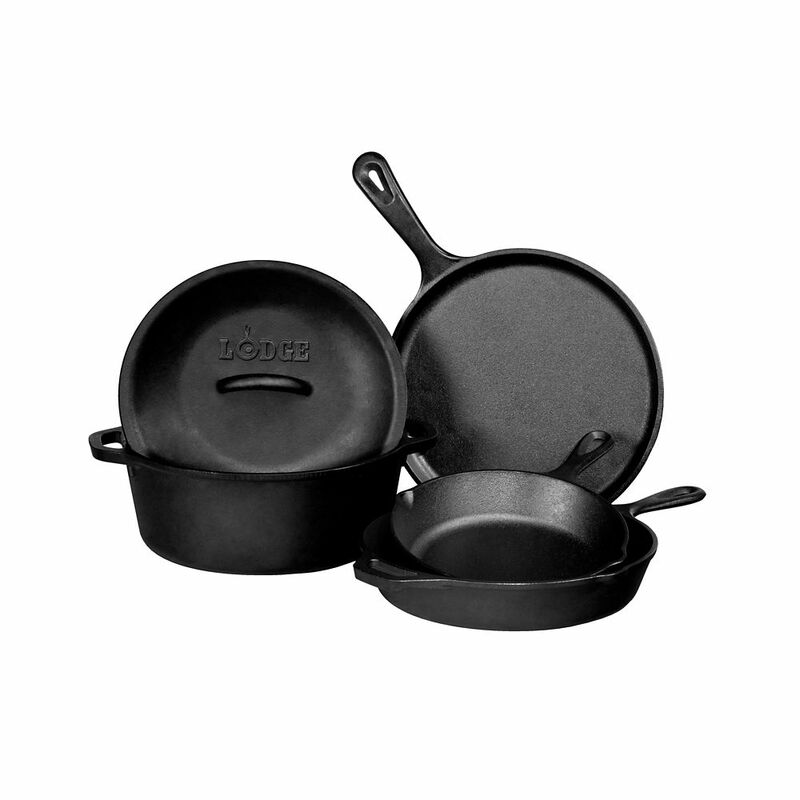 Cast Iron Cookware Set, 5-Piece Since 1896, the Lodge family has been casting premium iron cookware at our Tennessee foundry. As the sole American manufacturer of cast iron cookware, we are proud to carry on the legacy started by our great grandfather Joseph Lodge. We don`t just make products; we make heirlooms that bring people together for generations. At home in the backyard, the backwoods, or the ballgame. Brutally tough for decades of cooking. Cast Iron Cookware Set, 5-Piece is rated 3.5 out of 5 by 2. Rated 5 out of 5 by Manjit from It's a very good product I was using it when i was a teenager in my parents house i would like to place a order for this product but i need your bank account to bank in the money and also a person contact no that i can get in touch with. Rated 2 out of 5 by freshfood from they did not send me this product I order this product then three weeks latter they emailed me that they will not be sending this. I was look forward to using it, but now I am stuck with out it.